LineageOS, a popular custom ROM, has now released a newer version of its ROM officially. for a range of devices, including Xiaomi Mi A1. It is based on the Android 8.1 Oreo, which is the Google’s latest mobile operating system and is the safest and fastest version of Android. It has been just over a year since Cyanogen Inc. shut, The team has now officially announced the LineageOS 15.1 update with an Android Oreo 8.1 base and made it available to a select number of Smartphones. This article will explain how to Install Android 8.1 Oreo on Xiaomi Mi A1. Xiaomi Mi A1 is a high-quality Android smartphone, which launched in 2017. The phone comes with a 5.50-inch Full HD display with a screen resolution of 1080×1920 pixels. Xiaomi Mi A1 is powered by 2GHz octa-core Qualcomm Snapdragon 625 processor along with 4GB of RAM & 64GB of internal storage that can be expanded up to 128GB via a microSD card. As far as the cameras are concerned, the Xiaomi Mi A1 comes with a 12-megapixel primary camera on the rear and a 5-megapixel front-facing camera. Lineage OS Android distribution is a free and open source operating system for smartphones and tablet computers based on the Android mobile platform. It comes with a lot of customization to the stock Android Oreo experience while still maintaining stability for a wide range of devices. This lineage OS 15.1 for Xiaomi Mi A1 is much better and has some unique features. As far as the new features go, you can now set the custom accent color, and change between a light and dark mode. Apart from this, it has strong security and speed improvements that keep your smartphone safe and operate fast. Lineage OS (Android 8.1 Oreo) can installed via Custom Recovery like TWRP, so you need to install TWRP recovery on Xiaomi Mi A1 to use this custom ROM. If you already installed recovery then let’s begin with the tutorial. All the credits for this ROM are given to its Whole developer team of Lineage OS. 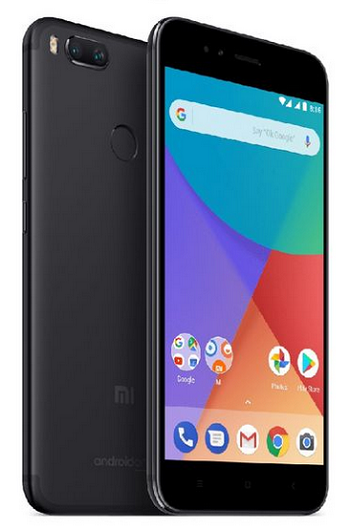 Installing Lineage OS 15.1 [Android 8.1 Oreo] ROM on your Xiaomi Mi A1 requires the bootloader to be unlocked & Custom Recovery Installed, which may VOID your warranty and may delete all your data. Before proceeding you can consider all data backups on the phone. You are the only person who is making changes to your device and kbloghub.com can not be held liable for the mistakes you made. 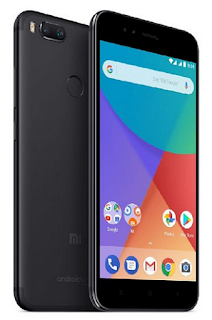 This new Lineage os 15.1 [Android 8.1 Oreo] Rom has to be installed on the Xiaomi Mi A1 model only; if tried on other devices, it might get bricked [To check your device model: Go to Settings >> About phone >> model number]. Make sure to Backup your Xiaomi Mi A1 before doing this step using TWRP or CWM or any Custom Recovery. If you are using a smartphone that is older than a couple of years, there’s a possibility that the company has given up on rolling out Android version update for the device. You can follow these steps to install lineageOs 15.1 without erasing your Xiaomi Mi A1 data. Download Lineage os 15.1 through the download link above or through the embedded updater app for Xiaomi Mi A1. If you download it from the Updater app, you will need to use the “Export” option in the menu to save the build in your internal storage. That’s it! Your device should now have Official Lineage OS 15.1 ROM installed ! Go to Settings >> About phone to verify. Some of Lineage os most popular features also exist, including groups of stock applications such as privacy applications, live displays, buttons/gesture optimization, and eleven music players and snap cameras. Let us know how’s your experience with Lineage OS 15.1 update for Xiaomi Mi A1 by comments below.